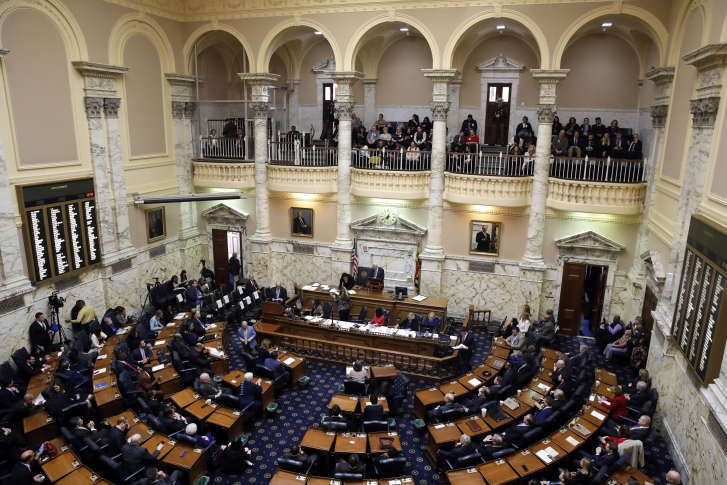 The discussion became heated in the Maryland state senate over a contentious transportation bill, as the governor's office wants to repeal it but some lawmakers want to save it. “That conversation starts with the word repeal,” Shank said. Getting the transportation rating bill passed during last year’s General Assembly session proved tough. In Wednesday’s Senate committee hearing, Sen. Ed DeGrange, a Democrat who represents Maryland’s 32nd District, made clear that the fight had gotten personal. “I’ve never, never had anyone question my motives or integrity ever until this administration,” he said. While Maryland Transportation Secretary Pete Rahn joined Shank in explaining how the rating system would put some projects, such as those for Washington County, at the bottom of the list, McFadden referenced the cancellation of funding for Baltimore’s Red Line. “The Baltimore region is getting screwed,” he said. In an unusual move, Senate President Mike Miller, a Democrat who represents Maryland’s 27th District, sat in on the hearing and then rose to speak. Standing at the witness table, he said the bill that Hogan is trying to repeal is a response to gridlock in Maryland’s most congested areas. “Montgomery and Prince George’s County — they are stuck in gridlock. These people can’t move. They’re stuck in gridlock every day,” Miller said. Miller was there to offer an amendment to the governor’s bill, but before he did, he said that the bill “was not faithfully implemented.” Miller then repeated what supporters of the ranking bill have said since it was first proposed, “This bill is advisory only,” something the Hogan administration insists isn’t the case. Miller said he wanted the General Assembly to avoid the legislative gridlock on Capitol Hill. Miller introduced an amendment that would not require the state to score transportation projects for a period of two years. The amendment would also create a work group that would settle how to move forward on evaluating transportation projects for consideration. Finishing his remarks before the Senate committee Wednesday, Miller shook hands with Shank, Rahn and Chris Carroll, the governor’s deputy legislative officer. “So I offer a peace treaty, a peace pipe, and if I had a peace pipe, I’d smoke it in front of you all,” Miller said. That generated laughter in the hearing room, but didn’t seem to move the committee. There was no vote on the repeal bill.